Dawkins is countering modern versions of the design argument which are collectively known as arguments for “intelligent design”. These arguments are put forward by members of the Discovery Institute, a Republican think-tank founded in Seattle in 1990, and its subsidiary the Center for Science and Culture. The aim of this organization is to encourage people and policy-makers to question the dominant materialism of today. Known as “The Wedge Strategy” they aim for “a broad social, political, and academic agenda whose ultimate goal is to "defeat scientific materialism" represented by evolution, "reverse the stifling materialist worldview and replace it with a science consonant with Christian and theistic convictions". The strategy also aims to "affirm the reality of God." Its goal is to "renew" American culture by shaping public policy to reflect conservative Christian, namely evangelical Protestant, values. Intelligent design arguments tend to fall into two categories, arguments from irreducible complexity and arguments from specified complexity. Michael Behe in Darwin’s Black Box (1996) coined the term "irreducible complexity". He points to complex systems in which each part depends on every other part; remove one part and the system ceases functioning. 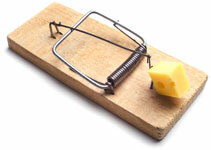 An example of this might be a mousetrap. You might remember a children’s game of this name which makes the point very well … other, naturally occurring, examples include bacterial flagellum of E. coli, the blood-clotting cascade, cilia, and the adaptive immune system. Behe argues that the necessary parts of an irreducibly complex system have always been necessary – they must have occurred together and not developed one by one. This implies a point in time when such systems were designed and created, rather than a drawn out process of evolution. William Dembski, the author of a number of popular books between 1998 and 2010, is most closely associated with arguments from specified complexity. He argues that complex things occur in nature (e.g. a string of 100 letters or a string of 100 proteins) and so do specified things (a single letter or a single amino-acid molecule) but specified complex things do not (e.g. the works of Shakespeare or the DNA of Shakespeare). Dembski uses probability theory to suggest that a designer is more likely than a specified complex object arising by chance. Probability is an argument which is frequently cited alone as a version of the design argument. Recent scholars who have put forward more complicated versions of the clichés "the universe arising by chance is like a tornado whipping through a scrapyard and assembling a 747" include Richard Swinburne and the theoretical physicist Stephen D Unwin. Richard Dawkins rejects both “intelligent design” arguments and the argument from probability in his bestselling book The God delusion (2006). He points out that arguing for God as the "intelligent designer" is to suggest that a complex system is best explained by a complex designer and that supposing that a complex designer is uncaused is just as incredible as suggesting that a complex universe is uncaused. Further, he observes that all the probability arguments look at the end product and consider the improbability of things arising like this, as if they had to. This misses the point. There is nothing to suggest that things had to end up this way as opposed to in a million different ways. The way things are is simple chance and the improbability of that is much less astounding.